Same is Lame. Word of mouth is the most effective way to grow any business. But to get people talking, you must do one thing different; something that they do NOT expect. 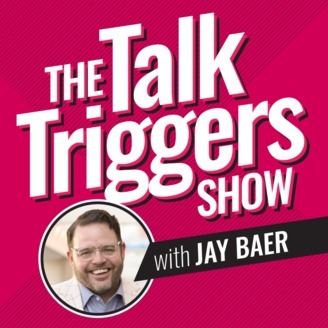 That conversation-starter is called a Talk Trigger. 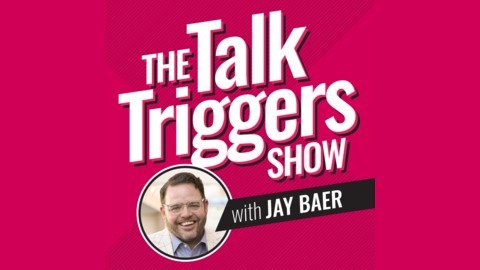 Each week on The Talk Triggers Show, best-selling author and hall of fame keynote speaker Jay Baer unveils a fast, fun, and most of all unexpected tale of a business that does something distinctly unusual and creates new customers as a result. Every show is just 6 minutes long—perfect for binging. It's inspirational, educational, thought-provoking, and often hilarious. If you own or manage a business (large or small), you'll love it.